The 4th year of the BIG Idea Competition was a BIG success with 148 entries involving 204 high school students from 18 schools! 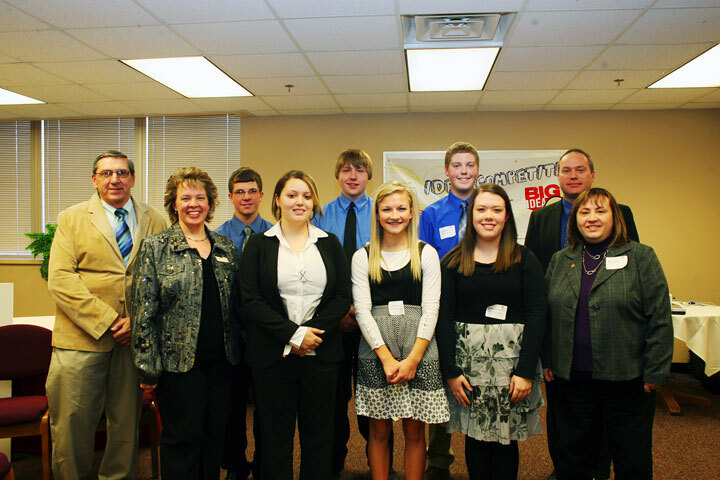 The BIG Idea Committee would like to congratulate this year’s winners who received over $4,500 in cash and scholarships. Team ‘Trition is a food delivery service that will prepare meals and deliver them to teams of Mobridge and the visiting schools they are playing . Kallas Hunting & Fishing Guides provide services and products to those looking for a guide to hunt and fish in the areas. Artistic Accessories provides supplies and employees to assist people art and fashion designs. Perfect Pools is a pool cleaning service that provides the services to have a luxury pool, but not having to worry about the cleaning. A&M Drive in Theatre will show movies and have tons of food to attract locals to this fun event for the summer.